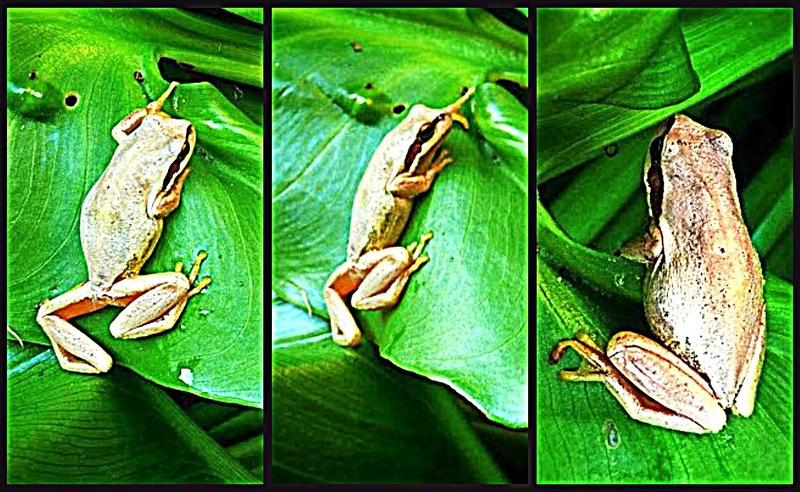 Backyard surprise wee two-inches long visitor froggy wildlife froglet hovering around our lily plants. Once in a while, we have frog surprise guests if we get much rain in Ballarat or if we have undisturbed plants alongside garden corners. I am not sure of this froglet name, but it may be Southern Brown Tree Frog (Litoria ewingi) if you click Frog of Australia in Victoria state. MY RIGHT SIDE VIEW EYE ON YOU! MY BACK SIDE VIEW EYE ON YOU! HOW DO I LOOK ON HDR PHOTO?